105 additional organizations will receive prize money ranging from $500 to $5,000 each. A total of 186 traditional shelters, adoption guarantee organizations and animal control agencies entered the 2008 Maddie's Fund and Petfinder.com Marketing Competition, each describing their methods for adopting elderly, blind, deaf, plain and shy pets as well as dogs and cats with medical and behavioral problems. Entries were judged on the marketing idea, implementation of the concept, number of animals placed, documentation of results, and size of the organization. Award winners will be notified by mail within the next several weeks. Top entries and summaries will be posted on the Maddie's Fund and Petfinder.com websites. Michigan Humane Society: Dubbed "The Race for the Right House," the Michigan Humane Society's campaign to get special needs pets into loving homes capitalized on the 2008 presidential election in a humorous and compelling way. There may not always be a hotly contested national election to inspire an adoption campaign, but a marketing plan tied to a current event that's already captured the attention of potential adopters is a good idea in any year. Animal Friends: Piggybacking on the popularity and success of the "Red Hat Society" for women over 50, Animal Friends of Pittsburgh launched its "Red Collar Society" campaign, aimed at showing that there's a lot of life and love in senior pets. More than 500 adoptions later, it seems they were right. 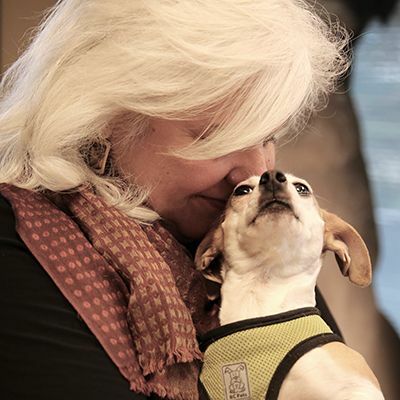 Oregon Humane Society: When it comes to solving pet homelessness, there are those who ask, "What's in it for me?" Fortunately, the Oregon Humane Society in Portland had the answer. Pointing out that "we have more than enough pets to go around," it pledged to "End Petlessness" and bring the health and emotional benefits of pet ownership to petless people.